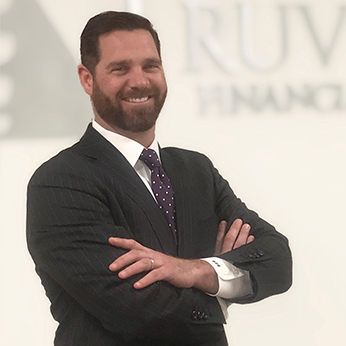 Scott joined us as Senior Vice President of Truvium Financial Group, with the goal of assisting clients and being part of a strong team dedicated to best serving them. He assists both families and businesses with their unique financial goals of wealth accumulation, preservation, and distribution. Education and knowledge of the ever-changing financial services industry is always at the forefront for Scott. He has attained his Life, Accident and Health Insurance License, Property & Casualty Insurance License as well as FINRA Series 6, 7, 31, 63 and 66 registrations. Scott is also a CERTIFIED FINANCIAL PLANNER™ professional. Scott graduated from Villanova University in 2001 and joined the Northwestern Mutual Financial Network. In 2003, Scott took a leave of absence to become an officer in the United States Marine Corps, and in 2006 returned to the financial services industry and worked as a Wealth Management Specialist at Smith Barney before returning back to Northwestern Mutual to join his old team. As a dedicated student in the financial planning industry, Scott quickly realized that his practice needed to evolve. Moving away from traditional financial planning to a practice that relies on sound economic theory motivated Scott to join Truvium Financial. Principles such as financial protection, increased savings, minimizing taxes, risk reduction, adequate liquidity, and debt reduction, are the bedrock from which he educates his clients. Scott Gegerson is a Registered Representative and Financial Advisor of Park Avenue Securities LLC. Financial Representative of The Guardian Life Insurance Company of America® (Guardian), New York, NY.